KARLSTAD, Sweden — It is all set that Löfbergs will be a part-owner of Humm Europe. The family-owned coffee roaster is buying a minority holding in the Gävle-based company that produces and sells Humm Kombucha, one of the leading brands on the market. – An exciting company with good conditions to grow into something really big. We look forward to be a part of that journey. The investment is a part of our initiative to reach new consumers with focus on well-being and health, says Lars Appelqvist, CEO at Löfbergs. – It is very positive that we are deepening our relationship with Löfbergs. It is an established player that shares our values. Löfbergs contributes competence that strengthens us and our offer, and that improves our possibilities to keep gaining ground, says Patrick Caraffa, CEO at Humm Europe. Humm Kombucha was founded in USA in 2009. Humm Europe AB built a new modern production facility in Gävle, Sweden. This is where the company produces organic Kombucha, a fermented tea filled with vitamins, organic acids and healthy bacteria that balance your body, for the Swedish and European market. Löfbergs has been a sales partner to Humm Europe since 2018. 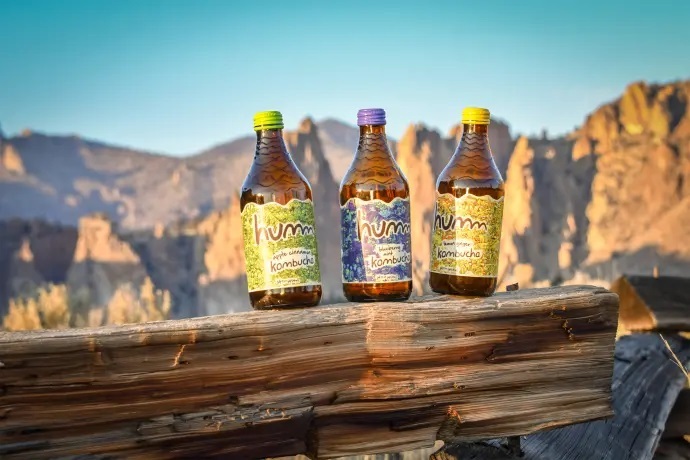 The commission was to sell Humm Kombucha to the Swedish grocery retail trade to start with, but recently it was extended to also include the Out of Home market, which means hotels, restaurants and cafés. -The cooperation can eventually be extended to other areas and markets in Europe, says Lars Appelqvist. The interest is great, which can be explained by a strong health trend. Many people see Kombucha as a great alternative to energy drinks, soda and juice, but also as a non-alcoholic mealtime drink. The investment is a part of Löfbergs’s major initiative in the rapidly growing Ready To segment. In 2018, Löfbergs founded a new business area with focus on On the go products. The plan is to grow both organically and through acquisitions. – Humm Kombucha complements our assortment of cold beverages like ICE Coffee, Cold Brew and Caffeine Water. In January 2018, we also acquired SuperBonobo with an assortment of rawbars and other natural organic snacks, says Lars Appelqvist.